IoT is core to our vision of future. 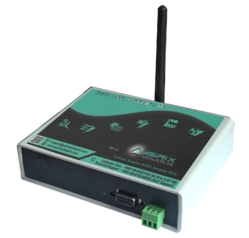 We provide a range of wired & wireless data logger devices to enable remote data logging of machine parameters in the cloud. Our software services partners provide solutions support to help connect legacy plant assets in the cloud. If you have a remote monitoring application, just give us a call to setup techincal discussion. 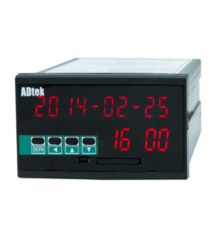 GSM/GPRS Remote Data Logger MAC-TEL is a general purpose intelligent device for acquiring data from Modbus client devices and pushing the same to a server on HTTP Protocol. The Terminal has an RS485 port to which maximum of 32 Modbus client devices can be connected parallel. The Terminal can be configured to query these client devices and push the data to a centralised server. Modbus master commands can be configured by giving the details like client ID, function code, start register and end register. A total number of clients, Communication interval, timeout, the number of poll attempts etc also can be configured. Similarly, Parameters like HTTP URL, GPRS APN, user name and password can also be configured. All these configurations can be done using the configuration software provided. Once the configurations are made the terminal will be ready to use. An active GPRS enable SIM card is to be inserted in the slot provided in the terminal before using the terminal. Proper GSM antenna also needs to be connected to the terminal. Once configurations made, SIM card inserted, Antenna connected and the terminal is powered on the terminal will works as follows. The terminal will start polling all the configured devices at on the interval specified by the 'Communication Interval'. If the polling is failed the terminal will attempt again and the maximum number of retries will be limited to the 'Number poll Attempts' configured. The data will be an ASCII string which is exactly same as the data received from the client device on sending the configured command. After this, the terminal will poll the next device and communicate the data to the server. 2) The size of data to be communicated from the device to the server and also on the sized of data communicated from the server to the device on receipt of an HTTP post request. Many industrial processes, such as energy measurement, environment monitoring, production parameterization, etc needs users to record & process data at various points in a plant. We are introducting DL1S, an inexpensive solution compared to present day industrial recorders. DL1S is designed to communicate over RS485 line, to read variety of devices such as PLC, A/D conversion cards etc and store the data collected into a SD card. Data can then be converted to Excel file format on a PC to perform analysis and report the same in user friendly software. DL1S reads and records data speed up to 1 seconds. The accompanying configuration software ADPro helps create user defined reports. The software configuration can be uploaded to or downloaded from DL1S using a USB interface cable. Recording can be started by external DI contact or by meter button. Same loop for users to understand the recording status. Configuration software with operation (API), can be set on the PC land then sent to theDL1S implementing plan; download the data in the API to perform log analysis. Refer datasheet for details & ordering information. Looking for Data Loggers & Recorders ?